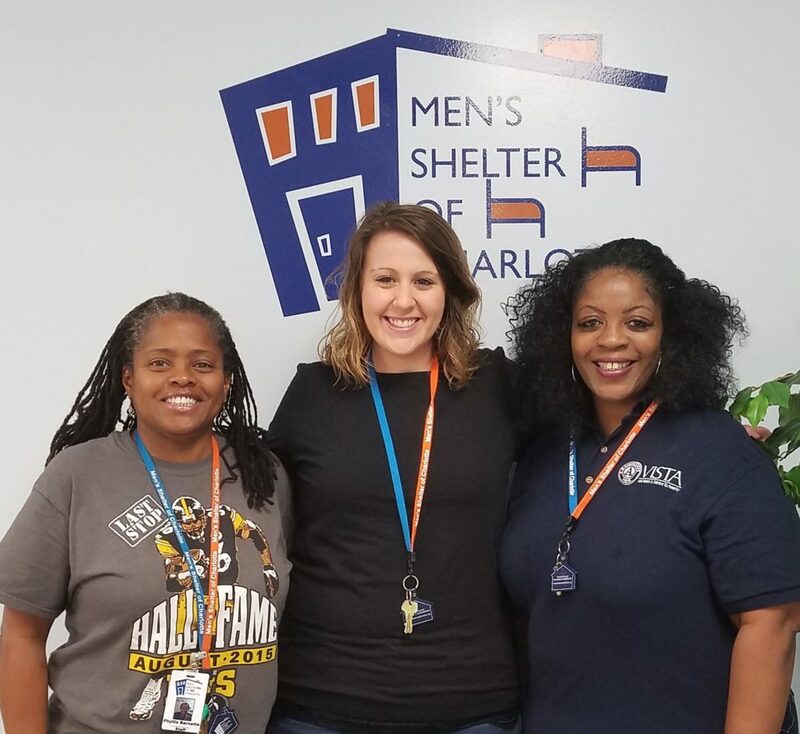 The Men’s Shelter recently launched as an AmeriCorps VISTA (Volunteers in Service to America) site, meaning that we are hosting four full-time volunteers for a one-year period to help increase economic and housing opportunities for our men in shelter. Three of our VISTAs have arrived! Dawn (pictured right) is helping to launch our first Employment Partner’s breakfast and building relationships with local employers to ensure we can connect our guests to meaningful employment. Daniella (middle) is creating new volunteer opportunities around employment, as well as strengthening the infrastructure for volunteers in our Housing and Employment Resource Center. Phyllis (pictured left) is working to more accurately track our housing outcomes and building relationships with local landlords to ensure we can connect our guests to appropriate housing. Give a warm welcome to Phyllis, Dawn, and Daniella as they embark on their incredible year of service! Our fourth VISTA, Daniel, will be joining us in September to build volunteer infrastructure around our housing work.